When I first started this site, I was so gung-ho about being “Craft Beer or nothing!” I was asked by a friend to review some ciders, so I did a multi-review of a few ciders in one post. At that time, which was back in April, 2013, I hated those ciders I drank. I was immature in my writing, saying very negative things about ciders and the companies making these drinks. “Overall, I will say this again…I MISS MY BEER, and I really don’t see the need for several cider companies. So if you have never had a cider before, go get one, and you’ve had them all! Now where did I put my beer! Well here we are now, September, 2015, and since the beginning, I ventured into new directions with my career, my life, my drinking habits. Working for a local Craft Beer bar that always had a cider on tap really helped me understand ciders. Meeting reps and brewers from different cideries and listening to their words describing their passion for building such beverages, as ciders, also really helped me make more mature decisions towards ciders. Austin Eastciders seemed to be a staple tap at the bar I worked at for several months. I was happy to pour their Goldtop Cider, and Original Dry Cider. I was happy to see them offering a new style with this Texas Honey Cider. I tasted this drink on different occasions, but finally bought a can so I could review it here on BMD. Here are my thoughts and how I taste Texas Honey Cider. Poured into a Victory Brewing Company Summer Love pint glass from their 16 oz. can. Texas Honey Cider poured a clear golden honey color. The aroma was a good combination of sweet red and green apples, and sweet honey. There was a light caramel apple essence present that lingered a bit. When it come to the taste, the sweet sugar hits the lips first, followed by thre main body of sweet, crisp green apples. The sweet honey follows and mixes great with the apple flavor. There is a slight buttery taste mixed in as well as a flavor that reminds me of caramel candied apples. Green apple skin in the aftertaste. The body is light and crisp with an astringent, yet a bit oily mouthfeel. As with most ciders, this one finishes dry. 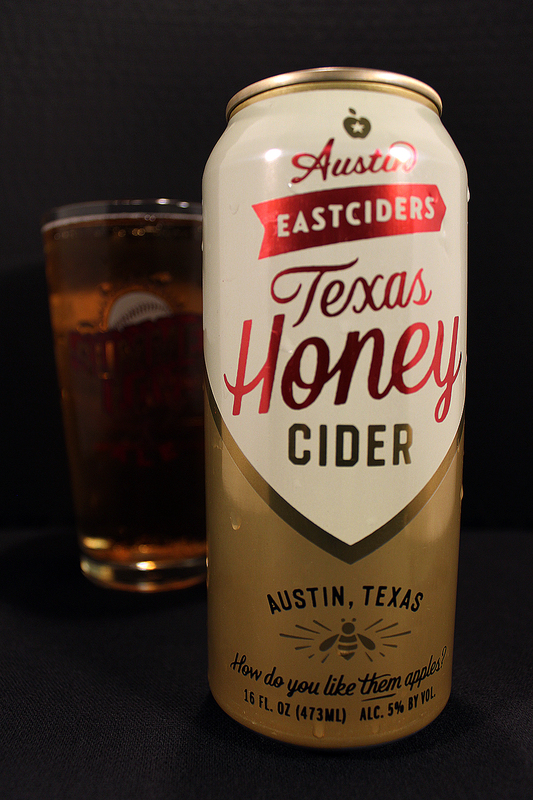 Overall, I will have to give to Austin Eastciders for creating such a beauty. As I said earlier, after having their first two offerings at my past place of employment, I was really looking forward to trying something new from these guys. This is a fine perfect representation of Texas, in my opinion. If you have the same attitude I once had towards ciders, grow up and get over it. Give them a try, sit back and enjoy their sweet goodiness. Did I just say Goodiness? Metal Connection: One thing we love here in Texas is some good ol’ Heavy Metal. I was on a quest to find a good rockin’ tune to pair with this cider. Oh boy, did I find a doozie! Here, I give you the band The Rods from New York. 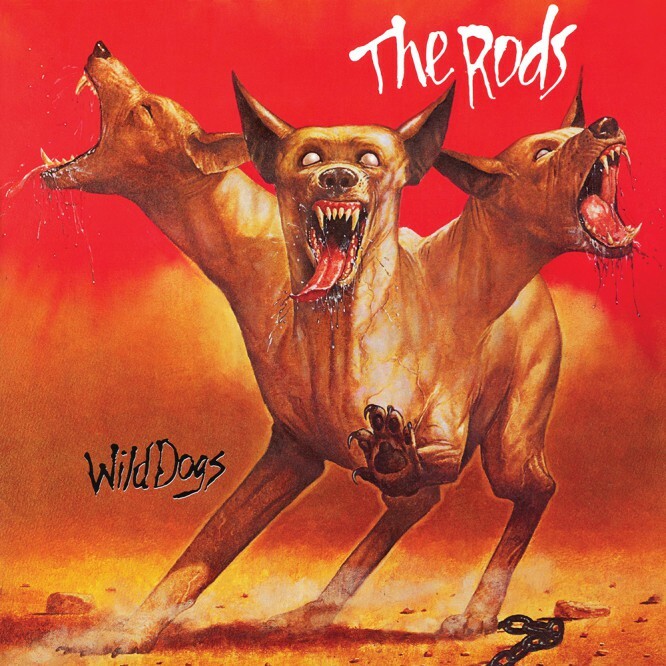 The Rods are still an active band, and have been kicking out the jams since 1980. They have released 8 full length albums in their career. The song chosen is the upbeat song called “No Sweet Talk, Honey” from their 3rd album, Wild Dogs, released in 1982. This song is catchy, and head banging worthy. This song could easily be part of the soundtrack to the 1981 cartoon movie, Heavy Metal. I really hope this review will open you up to some new experiences like enjoying ciders, and learning who The Rods are. Ciders Are People Too!… umm Beers.. umm I mean alcoholic beverages… 😛 ummm Reviewable none the less 😀 Cheers brotha! This is a very good cider my friend. I my throw it in a box for you as an extra or something one day!